This young model wants to try her luck in the world of misses and has presented her first beauty pageant. You do not know very well which attire to choose for this event and it is the moment that it is put in your hands so that it looks spectacular and can take the crown home. You will be able to choose the type of wardrobe that you will wear, deciding if it will be casual or something more elegant. Look at all the possible combinations and choose the one you like best for the girl. Not only will you have to be aware of the costumes, we will also have to go through the hairdresser and the makeup room. We are going to choose a nice hairstyle and finally we will have to make up the girl the most according to the clothes we have chosen. Do not wait any longer to dress a diva model for the beauty pageant. 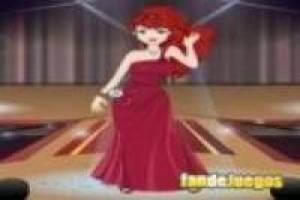 Enjoy the game Dress a Diva model, it's free, it's one of our dress games we've selected.